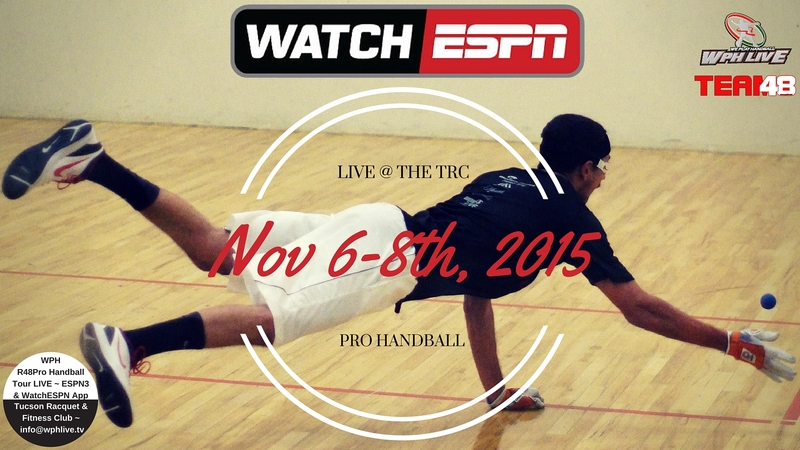 Tucson, AZ, WPH Press, 10/30/15- The World Players of Handball is thrilled to host the WPH Race 4 Eight V Tucson Memorial Stop #2 featuring the top professional handball players in the world competing on handball’s most prestigious professional handball tour live on the Watch ESPN App. The Tucson Race 4 Memorial will be played at the Tucson Racquet Club, located at 4001 N. Country Club Rd, Tucson, AZ 85716. 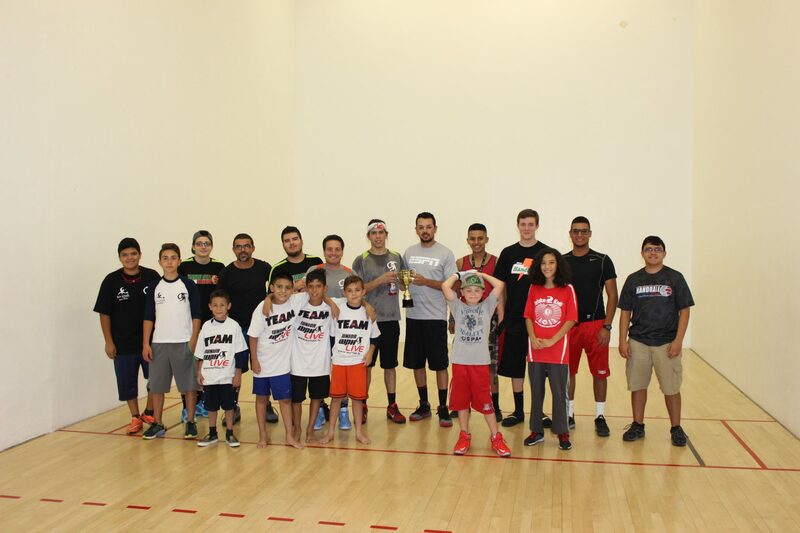 Tucson’s Luis Moreno and Sean Lenning, San Francisco’s Emmett Peixoto, Southern California’s Mando Ortiz and Marcos Chavez, Mexico’s Daniel Cordova and Luis Cordova, and Ireland’s Stephen Cooney headline Tucson’s international field of handball stars. The top stars will have to contend with top qualifiers hopefuls from California, Minnesota, New York, and Arizona, with each player will be vying for the prestigious Tucson Memorial Race title in the second of seven 2015-2016 Race 4 Eight V events. Each match will be broadcasted live on the ESPN App! The Tucson Memorial R48 Pro #2 Powered by ESPN features not only the best pro handball players in the game, but also exciting junior clinics and competitions throughout the weekend. The Tucson R48 Memorial will feature the second edition of the Battle of the Border, with Team WPH Juarez challenging Tucson’s best junior players, as well as junior singles and doubles tournament divisions throughout the weekend. The Race 4 Eight V held its first event in October of 2015 at the Simple Green U.S. Open in Fountain Valley, CA. Following the R48 V Tucson Memorial, the Race 4 Eight will host its third event in New Orleans in January of 2016, the fourth event in Houston in February, the fifth event in New York City, the sixth event in Salt Lake City, UT in April and The Player’s Championship in Portland, OR in May.